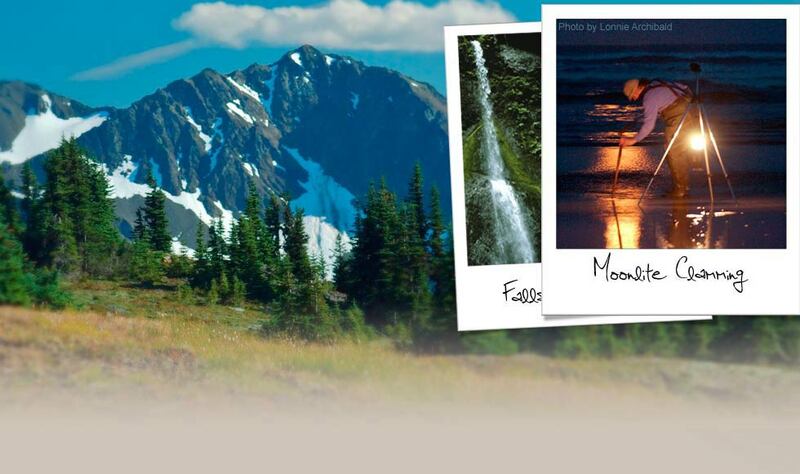 Olympic Hiking Co. is a commercially authorized tour operator in Olympic National Park. Olympic Hiking Co.’s team of naturalist hiking guides leads daily group hiking and sightseeing tours out of Port Angeles, WA and offers customizable private tours throughout the Olympic Peninsula. The company also provides daily trailhead shuttle services on the Olympic Coast May 1 through September 30 and custom shuttle services throughout the Peninsula year-round. You can book a guided tour or trailhead shuttle online by visiting our website. 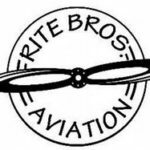 Posted in | Comments Off on Olympic Hiking Co.
Posted in | Comments Off on Rite Bros. Aviation, Inc.
Peninsula Trails Coalition coordinates with and supports the 14 federal, state, county, city and tribal jurisdictions who are the public owners responsible for segments of the trail. Advocates for uniform route selection and construction standards for all segments of the trail. Maintains an email database to reach the membership with “breaking news”. Coordinates with and supports major connecting trails, such as the Sound to Olympics Trail and the Pacific Northwest National Scenic Trail. Construction and updating, of all the railroad trestles along the route, including 3 that are over 400 feet long, with new decking, railings, and ramps. Route construction varying from preliminary brushing and flagging, clearing and staking, to complete construction of trail sections including the installation of signs and bollards. Creation of trail heads with landscaping, built fences, and installed sanicans. Park View Villas is Port Angeles’s premiere retirement and assisted living community, bringing retirement to life! Operating in Port Angeles for more than 30 years, Park View Villas has a long tradition of keeping our residents active and engaged in the community. With a wide variety of living options, from fully independent cottage residences to fully assisted apartments, and amenities like three meals a day, weekly housekeeping and all utilities included, we are the ideal place to call home. Price Ford Lincoln located in Port Angeles, Washington is proud to be one of the premier dealerships in the area. From the moment you walk into our showroom, you’ll know our commitment to Customer Service is second to none. We strive to make your experience with Price Ford Lincoln a good one – for the life of your vehicle. Whether you need to Purchase, Finance, or Service a New or Pre-Owned Ford, you’ve come to the right place. Call 866-712-1487 for your No-Obligation Internet Price Quote from our Internet Department. Posted in | Comments Off on Price Ford Inc.
Angeles Clinic for Animals in Port Angeles, WA, welcomes you to our full service veterinary hospital for dogs, cats, and other small companion animals such as ferrets and rabbits. Our well qualified, experienced team of veterinarians, technicians, assistants, and receptionists are committed to providing quality veterinary medical care throughout the life of your pet. Our Port Angeles animal hospital staff makes it easy to keep your pet healthy and receive the excellent medical care you expect of a top-notch veterinary hospital. We offer early drop off times and plenty of appointment times to accommodate your busy schedule. Clallam County lies across the northern half of Washington’s Olympic Peninsula, the northwest corner of the Pacific Northwest. Its western and northern boundaries are the Pacific Ocean and Strait of Juan de Fuca shorelines. The southern boundary cuts through Olympic National Park, the nearly million-acre wilderness interior of the Peninsula. The high mountains, rugged coastlines, deep forest, miles of unspoiled rivers, clean air and water, and mild marine climate offer a most unusual combination of environmental amenities. When the cultural, educational, and social amenities available in the cities and towns are considered, along with the range of living styles from small town to rural to backwoods, the county becomes a uniquely desirable place to live and work. A book for road trips! Available at the Forks Chamber of Commerce / Visitor Information Center and other locations on the Olympic Peninsula. Elwood Benefits is a local Allstate agency offering Auto, Home, Life, Long Term Care, and Commercial Insurance. Elwood Benefits also provides Financial Services, including Annuities and Retirement plans. Agency owner, Matt Elwood, is happy to meet insurance needs in all of Washington, but especially in Port Angeles, Sequim, Port Townsend, Forks and the Olympic Peninsula. Two of Allstate’s most popular products are Your Choice Auto and Your Choice Home Insurance. Your Choice Auto is a whole new kind of car insurance from Allstate that bundles together the kind of features you’ve always wanted. Benefits start the day you sign up. Some of the features include: Accident Forgiveness, Deductible Rewards, Safe Driving Bonus, and New Car Replacement. Your Choice Home insurance offers personalized coverage options that include Claim-Free Bonus, Claim RateGuard, and Guaranteed Renewal for Claims. Combining your house and car insurance gives Allstate customers a considerable discount. The agents at Elwood Benefits are local residents of Port Angeles. Matt, Helen, and Kayla were all born and raised on the Peninsula and that enables them to provide more personalized service. Surrounded by majestic mountains and towering evergreens, with easy access to the hot mineral pools, massage therapists, café, restaurant, and Olympic National Park trails, Sol Duc Hot Springs Resort is the ideal vacation destination. Originally built as the Log Cabin Hotel, it was erected in 1895 overlooking beautiful Lake Crescent by Mr. Saunders, a Collector of Customs from Port Townsend. It was a handsomely constructed two-story building of peeled cedar logs. The hotel was a “far-famed” vacation spot until it fell victim to fire in 1932. Log Cabin Resort offers a variety of accommodations including Lakeside Chalets, Comfortable Lodge Rooms, Camper Cabins, Rustic Cabins, Camping Log Cabins, as well as Full hook-up RV sites. Our Camping Log Cabins are individual, one room log cabins with two double beds. Our RV sites are full hook up. RV check in time 1:00pm check out time 12:00pm. Tent sites are available with or without electricity. Explore the beautiful glacier-carved Lake Crescent with a rowboat rental or kayak. You can fish, have a picnic lunch or just drift with the breeze and bask in the warm sunshine. The lake is known for its crystal clear water that’s over 600 feet deep in parts. Many private residents who live around the lake still get their drinking water directly from the lake. Our casual lakeside deli provides stunning views of Lake Crescent. We serve fresh sandwiches, salads, homemade pizzas and more. Perfect for a lunch break during a busy day of fishing, hiking or kayaking nearby. We also offer seating outside on the lawn. Join us for fresh food, laidback atmosphere and great conversation! Our lakefront Olympic Peninsula dining room overlooks beautiful Lake Crescent and offers breakfast, lunch and dinner from early May to mid-October. Relax in a casual atmosphere where you’ll enjoy creative Pacific Northwest Washington fare. Paddle your own kayak on a lake tour, offered throughout the summer or enjoy one of the many stunning hikes in the area.